All text, graphics, user interfaces, visual interfaces, photographs, trademarks, logos, sounds, music, artwork and computer code (collectively, “Content”), including but not limited to the design, structure, selection, coordination, expression, “look and feel” and arrangement of such Content, contained on the Site is owned, controlled or licensed by or to Creflo Dollar Ministries, and is protected by trade dress, copyright, patent and trademark laws, and various other intellectual property rights and unfair competition laws. CREFLO DOLLAR MINISTRIES DOES NOT PROMISE THAT THE SITE OR ANY CONTENT, SERVICE OR FEATURE OF THE SITE WILL BE ERROR-FREE OR UNINTERRUPTED, OR THAT ANY DEFECTS WILL BE CORRECTED, OR THAT YOUR USE OF THE SITE WILL PROVIDE SPECIFIC RESULTS. THE SITE AND ITS CONTENT ARE DELIVERED ON AN “AS-IS” AND “AS-AVAILABLE” BASIS. ALL INFORMATION PROVIDED ON THE SITE IS SUBJECT TO CHANGE WITHOUT NOTICE. CREFLO DOLLAR MINISTRIES CANNOT ENSURE THAT ANY FILES OR OTHER DATA YOU DOWNLOAD FROM THE SITE WILL BE FREE OF VIRUSES OR CONTAMINATION OR DESTRUCTIVE FEATURES. CREFLO DOLLAR MINISTRIES DISCLAIMS ALL WARRANTIES, EXPRESS OR IMPLIED, INCLUDING ANY WARRANTIES OF ACCURACY, NON-INFRINGEMENT, MERCHANTABILITY AND FITNESS FOR A PARTICULAR PURPOSE. 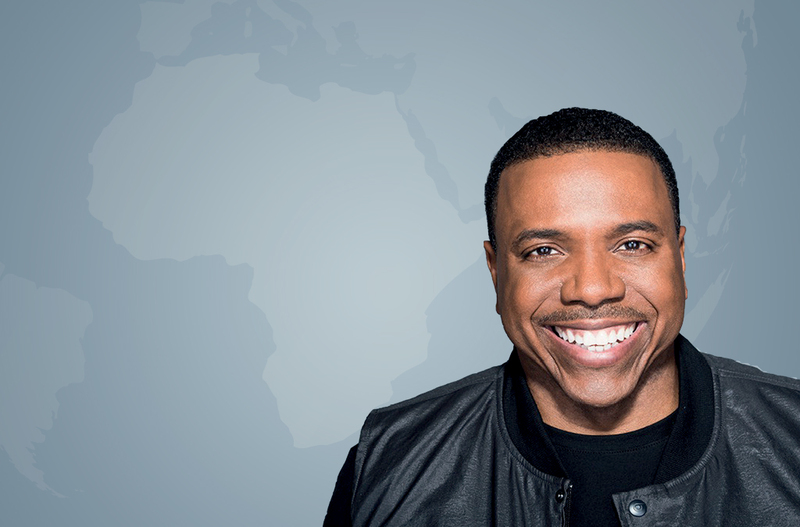 CREFLO DOLLAR MINISTRIES DISCLAIMS ANY AND ALL LIABILITY FOR THE ACTS, OMISSIONS AND CONDUCT OF ANY THIRD PARTIES IN CONNECTION WITH OR RELATED TO YOUR USE OF THE SITE AND/OR ANY CREFLO DOLLAR MINISTRIES SERVICES. YOU ASSUME TOTAL RESPONSIBILITY FOR YOUR USE OF THE SITE AND ANY LINKED SITES. YOUR SOLE REMEDY AGAINST CREFLO DOLLAR MINISTRIES FOR DISSATISFACTION WITH THE SITE OR ANY CONTENT IS TO STOP USING THE SITE OR ANY SUCH CONTENT. THIS LIMITATION OF RELIEF IS A PART OF THE BARGAIN BETWEEN THE PARTIES. You agree to indemnify and hold Creflo Dollar Ministries, its officers, directors, employees, agents and affiliates, harmless from any demands, loss, liability, claims or expenses (including attorneys’ fees), made against Creflo Dollar Ministries by any third party due to or arising out of or in connection with your use of the Site. Creflo Dollar Ministries may disclose any information we have about you (including your identity) if we determine that such disclosure is necessary in connection with any investigation or complaint regarding your use of the Site, or to identify, contact or bring legal action against someone who may be causing injury to or interference with (either intentionally or unintentionally) Creflo Dollar Ministries’s rights or property, or the rights or property of visitors to our users of the Site, including Creflo Dollar Ministries’s customers. Creflo Dollar Ministries reserves the right at all times to disclose any information that Creflo Dollar Ministries deems necessary to comply with any applicable law, regulation, legal process or governmental request. Creflo Dollar Ministries also may disclose your information when Creflo Dollar Ministries determines that applicable law requires or permits such disclosure, including exchanging information with other companies and organizations for fraud protection purposes. Please find the list of countries Creflo Dollar Ministries ships to here.